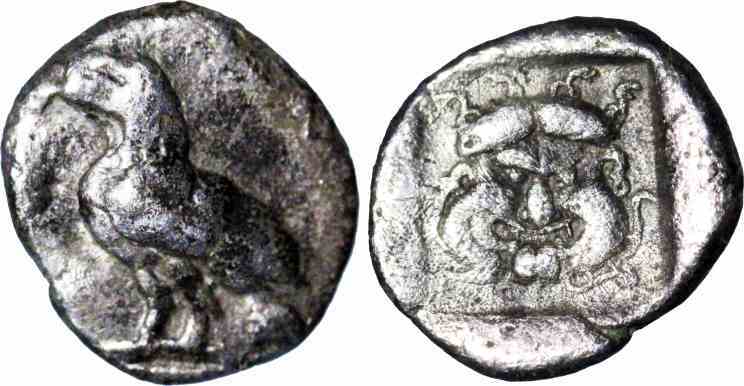 Silver obol, 9mm, 0.78gm, issued c. 450 BC. Obv: Eagle stg, wings closed. Rev: Gorgoneion within incuse square.